I seriously had one of the best weekends ever. I caught up with college friends and my bestie from Jamaica arrived! It was like old times; we shopped, we chatted, we laughed... it doesn't get any better than that. We more or less lived together since freshman year of college so having her here for these next few weeks is sort of unreal (I'm just mildly obsessed, it's all good). I saw these necklaces on Kate Bosworth at Coachella. They were recently re-released on Jewelmint and I jumped on the chance to have them. They're so unique and intricately designed. The colors are great as well. Need I repeat how much I love these jeans? I'm in love... just smitten with these things. If I could wear them everyday (and not hurt my feet with the high heels) I would. 4) The butter pecan cupcake at Crumbs (did you really expect me to go through a weekend without mentioning Crumbs)? I hope everyone's weekend was fabulous and that your Monday is good as well! those pants were seriously made for you!! 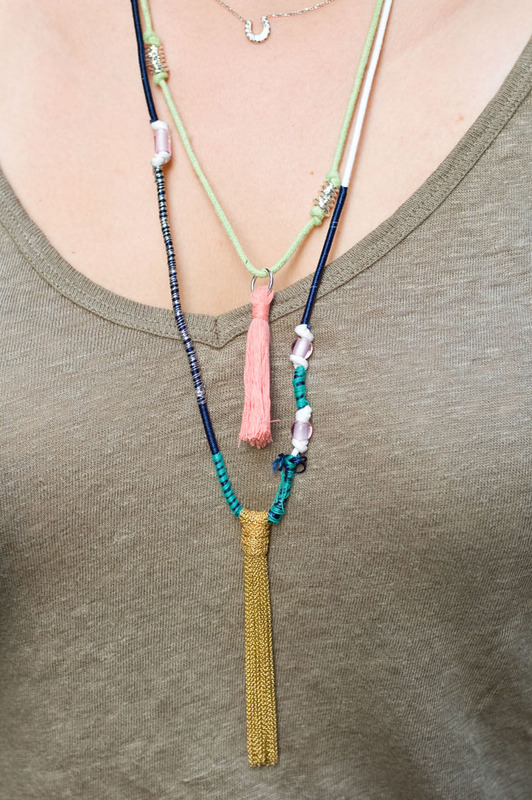 and i love the tassle necklace! You look ready for Coachella in this outfit doll, I so heart your bag! love the pants!!! :)great look dear! I love the pants too! And that necklace is gorgeous, who wouldn't buy it?! Uhhh nothing better than a great pair of flares! 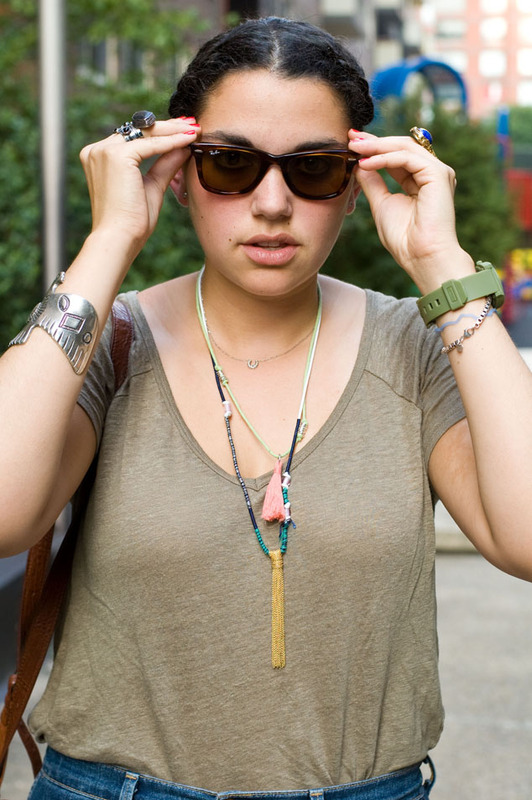 And those necklaces are adorbs - great grab. Love your jeans -- the wide legs are amazing!